Ballistic Advantage is now allowing pre-orders for their new .224 Valkryie Performance Barrels. 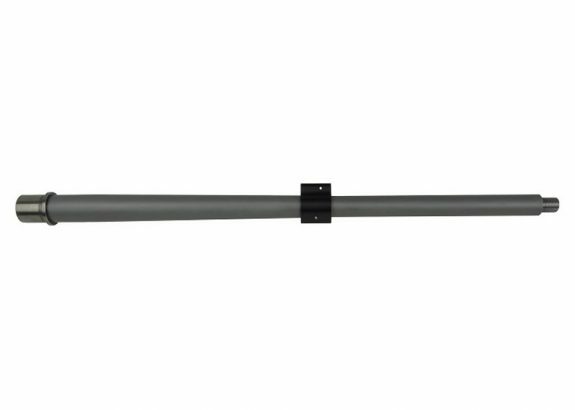 They are initially offering 2 18″ SPR barrels, one with fluting and one without. These have all the features of their Performance Series barrels including their sub MOA guarantee. 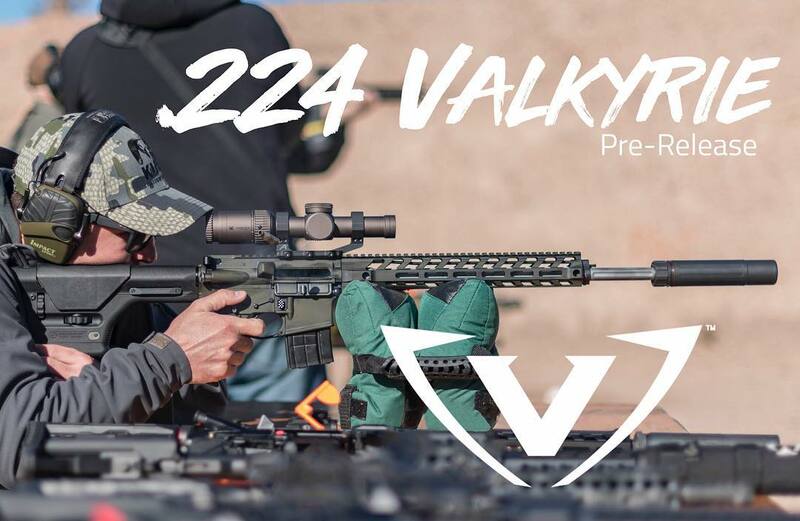 The .224 Valkyrie provides extremely flat trajectories and match accuracy beyond 1,300 yards. The cartridge offers significantly less wind drift and drop than other loads in its class, as well as less than half the recoil of cartridges with comparable ballistics. Loaded in an unmatched array of high-performance projectiles, .224 Valkyrie is the new choice for both long-range target shooters and hunters. If you are building a precision AR, take note. Ballistic Advantage is offering their Premium Series 18″ .223 Wylde BA Hanson Midlength AR 15 Barrel w/ Lo Pro Gas Block with barrel of the week discount. This barrel comes with a 1MOA guarantee. 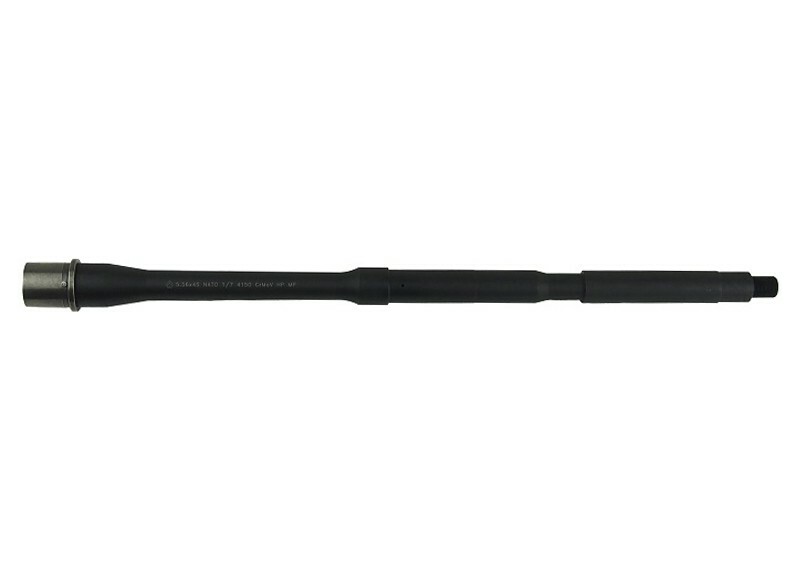 The Hanson profile cuts the weight while still offering the type of performance you want in a precision barrel. The included pinned, low profile gas block makes this a great value. Ballistic Advantage has been teasing the release of something new for weeks and now we know what that something (or somethings) are. They are now offering complete uppers again. 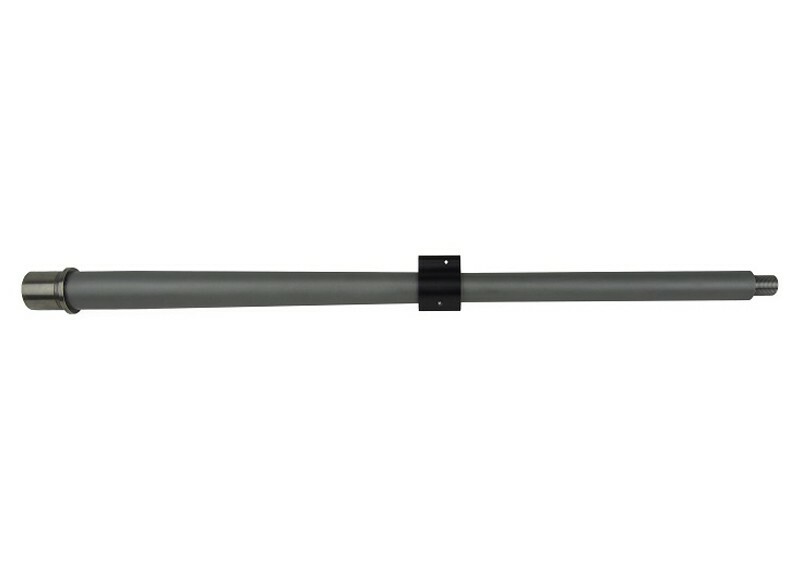 The uppers are available with a variety of different Ballistic Advantage barrel options including the popular BA Hanson profile barrels. They all also feature various lengths of a special Ballistic Advantage branded version of the VLTOR Freedom Rail. The uppers do not come with BCGs, charging handles, or a muzzle device but these can be added at the point of purchase. 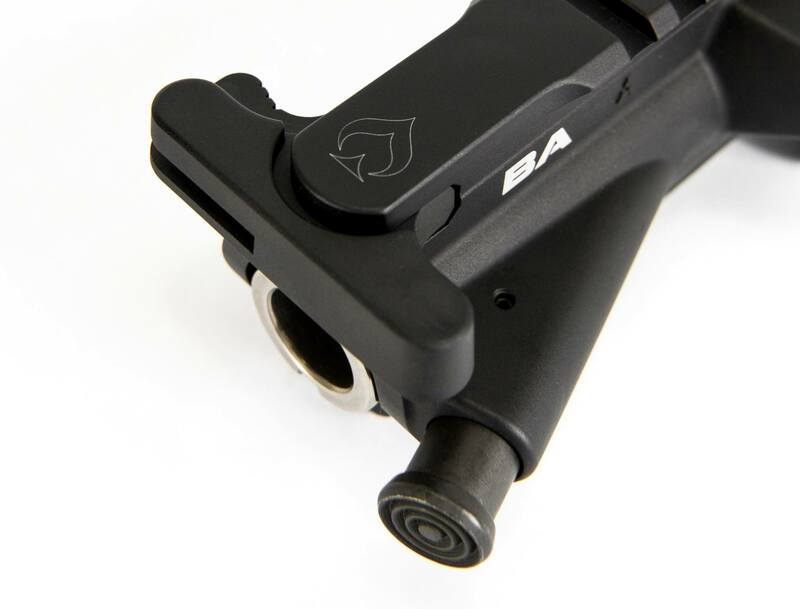 Check out the new complete uppers at Ballistic Advantage. 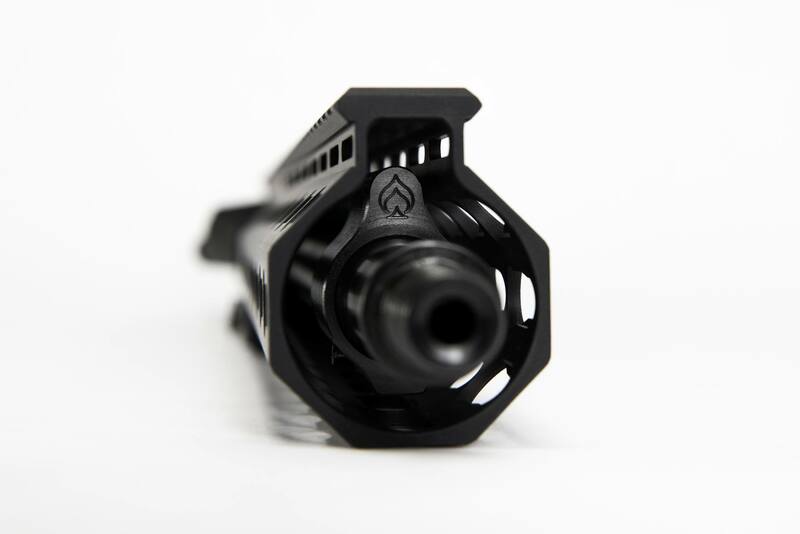 Ballistic Advantage just dropped another teaser that seems to point to their impending reentry into the complete upper market. 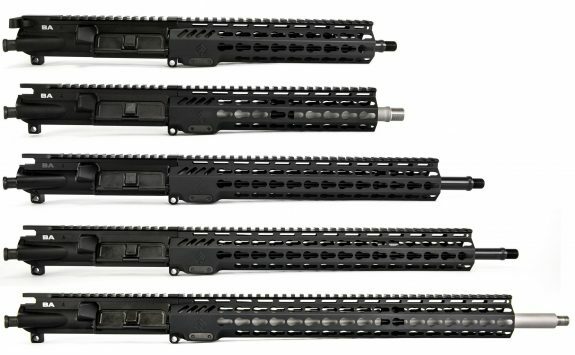 Given the resources of Aero Precision, who now owns Ballistic Advantage, it wouldn’t surprise me to see complete rifles soon too. See the previous teaser image here. Check out Ballistic Advantage. Ballistic Advantage Teaser – Complete Uppers Soon? Ballistic Advantage just dropped a teaser image on their Facebook page (image below). It shows an AR-15 upper receiver with Ballistic Advantage branding and it includes a bolt carrier group and charging handle. Hopefully, this means they are getting back into the complete upper receive market… maybe even complete rifles. 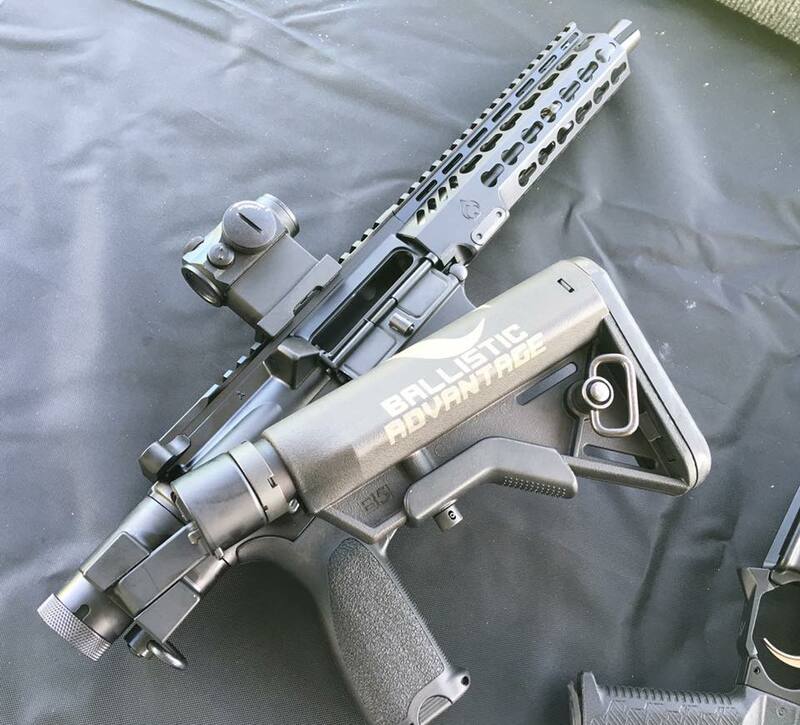 Ballistic Advantage certainly has the production capability to offer complete uppers and firearms. In the not too distant past, they did offer complete uppers. I own two of them and they are excellent. 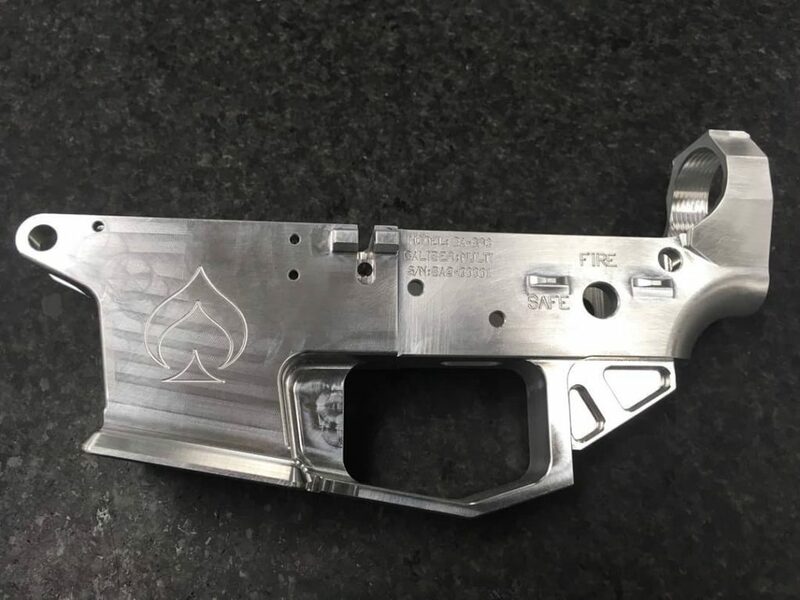 Now, with the manufacturing backing of Aero Precision and their child brands like VG6 Precision behind them, they should be well positioned to get back into the market. Generally, when Ballistic Advantage releases a teaser image, we don’t have to wait long before the pay off. Stay tuned. If you build enough AR-15 uppers, you will eventually come across one that just isn’t going to cooperate with the torque specs. Don’t sweat it. You aren’t going to hurt anything if you have to go beyond the torque spec (within reason). Clint Hanson shares some of his experience with getting those last few millimeters of travel on your barrel nut in Ballistic Advantage’s most recent Builder Series video. Ballistic Advantage’s Barrel of the Week is their 16″ 5.56 M4 profile Performance Series barrel for $157.25. These share all the features of the BA Performance Series including Melonite QPQ finish, FailZero coated barrel extension, HP and MP testing, and BA’s 1MOA guarantee. BA also offers a number of add-ons for this barrel that should make it attractive for builders. You can add a pinned low profile gas block or FSB for an additional fee. Ballistic Advantage (BA) seems to be dropping some hints to see if anyone is paying attention. They frequently host rifle giveaways and their most recent one features a KeyMod rail with the BA logo engraved on it. Another photo also surfaced showing an SBR wearing a Dead Foot Arms MCS folding stock and a shorter version of the same rail (below). It looks like there could be a Ballistic Advantage rail in the works. Update: A sharp-eyed follower of JTT on Facbeook, Vincent C, pointed out that this appears to be a Vltor Freedom Rail with BA branding. Ballistic Advantage’s Modern Series is their budget friendly line of AR-15 barrels with full 4150 CMV steel construction, QPQ (nitride processing), and their 1 MOA guarantee. Typically, the barrel profiles in this series have been limited to help keep costs down but they have recently added a new pencil profile to the Modern Series lineup. 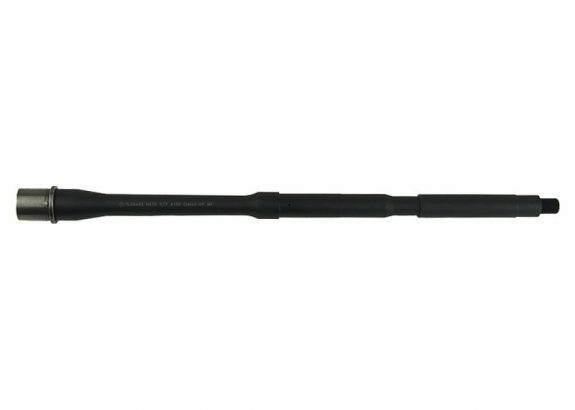 The 16″ lightweight pencil profile is now available with your choice of carbine or mid-length gas system. They are available at the introductory price of $150! 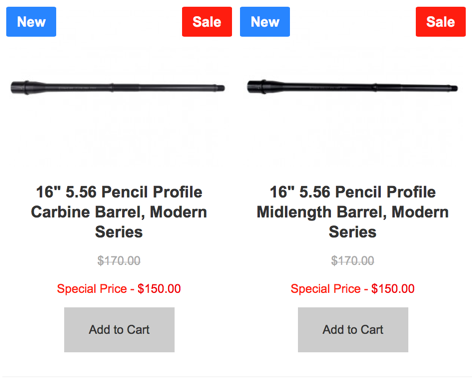 These barrels are a good value at their normal price of around $170 but they are impulse-buyable at the introductory price. You can check them out at Ballistic Advantage’s Modern Series page.